I have had the pleasure of working with Glenn for more years than I care to recall! He and I go way back, professionally. I have always had the highest regard for his work and his character. Recently, Glenn has worked with an organization that is near and dear to my heart, The Dragonfly Foundation. He has documented some incredible events and has communicated both the message and feeling I hoped to convey. 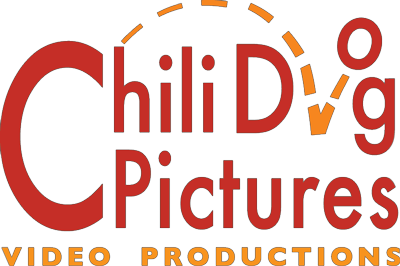 I would gladly recommend him and Chili Dog Pictures for any future work!!! Glenn Hartong served as Director of Photography. Both Glenn and Stacy Doose shot much of the footage for this award-winning film by Amy Scott, education reporter for Marketplace.org. OYLER has been named one of the “Best of 2016” by Science Books and Films, a publication of the AAAS – The American Association for the Advancement of Science. From the AAAS: “In Cincinnati’s Lower Price Hill, a poor community with “roots in the coal mining towns of Kentucky and West Virginia,” Oyler School serves as a full-time facility that offers daily nutritious meals, health care, and other services throughout the year. Compassionate school principal Craig Hockenberry’s daily rounds include greeting all students, driving around the neighborhood rounding up truants, and assisting kids in need. Low test scores prompt the state to step in and give the principal one year to turn the program around. From WVXU Public Radio: Oyler: One School, One Year” (9 p.m. Monday, Feb. 1, Channel 48) is an inspiring look at the 2012-2013 school year, a showcase of what’s working in Cincinnati, and specifically in Cincinnati Public Schools. The school has received national attention for its one-stop in-school health clinic, day care center and other improvements in the school for students from first to 12th grades located at the west end of the Eighth Street viaduct.